In the last decade, there has been an explosive growth of research on complex real-world networks, a theme that is becoming pervasive in many disciplines, ranging from mathematics and computer science to the social and biological sciences. Typical complex networks include internet topologies, web graphs, peer-to-peer networks, social networks, biological networks, and economic networks, to name a few. Empirical studies have shown that these networks, though different in nature, all display substantial non-trivial topological features and, interestingly, share a number of significant properties. A lot of research efforts have thus been made towards a deep understanding of complex networks. Computing in social science has recently become one of the central themes across mathematical science, information and communication technology, which attracts significant interest from researchers in mathematics, computer science, system science, and social science. 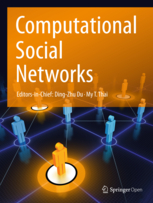 The objective of this workshop is to advance and promote the theoretical foundation, mathematical aspects, and applications of social computing. Authors who are interested in the above topics can submit their unpublished work to this workshop via Easychair. A clear indication of the motivation and comparison with prior related work should be presented. Simultaneous submission to a journal or another conference with refereed proceedings is not allowed. Submissions must adhere to the following guidelines. Papers must be formatted using LNCS style file without altering margins or the font point. The maximum length of paper (including references) is 10 pages. Proofs omitted due to space constraints must be placed in an appendix to be read by the program committee members at their discretion. Accepted papers will be published in LNCS along with main papers of COCOA 2014. 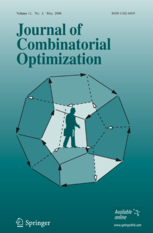 We will select some papers from the accepted papers to be published in special issues of Journal of Combinatorial Optimization(ISI) and Computational Social Networks.